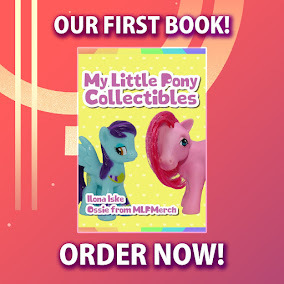 Here on this page you'll find an overview of all My Little Pony Paperback Issue νm; 11 Comic Covers, with a total of 1 release. You can click on the Paperback Issue νm; 11 Comic Covers images to zoom in or click on any of the links under the images to see more releases of that type. 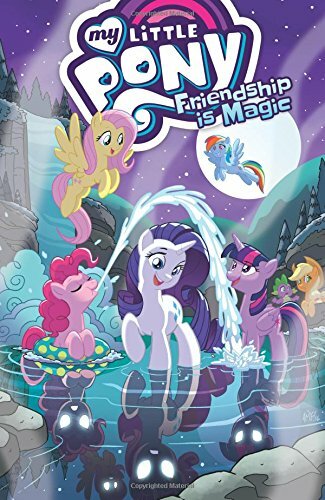 Summary: The Ponies go on an adventure to a newly erupted geyser. After some fun playing in the water, the ponies begin to act a bit strange, perhaps even… sinister, in “Ponies of Dark Water.” Plus, it’s election season in Ponyville and Mayor Mare looks to have the race in the bag. But when Filthy Rich throws his hat in the ring, all bets are off! Collects issues #43–47.